Special guest blog by Ray Dorey. You can read more of Ray’s adventures at www.storiesfromdoreyville.wordpress.com. “The key to a happy life is to accept you are never actually in control.” – Character of Simon Masrani, Jurassic World. I think I laughed out loud when I first heard this. I’d always believed the polar opposite. But as I’ve come to learn, these words from a fictional movie about a dinosaur park couldn’t ring more true. 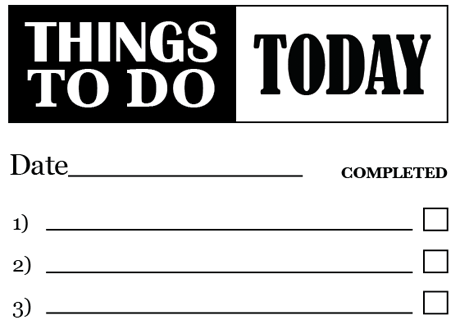 I have somewhat of an obsession with “to do” lists – summaries both personal and professional, detailing all of my goals and tasks for a given period of time. In my job, I have every day of the week planned nearly down to the minute. All meetings and objectives are scheduled to optimize efficiency and ensure completion. And whether personally or professionally, I had always at least partially measured my success by how many of the items on my list were completed in the time I had prescribed. But as we all know, life often doesn’t care about our tidy lists. It can be so easy for our plans to fall off the rails, and that can lead quickly to frustration – and possibly anxiety if we allow it. I’ve learned that what is far more important than measuring ourselves strictly to planned objectives, is how we choose to react to the inevitable surprises and challenges that get interjected without notice or reason. The past two years have been especially challenging for me personally. I’ve suffered multiple retinal detachments in both of my eyes, requiring surgery and extended recovery periods. In an instant, all of my immediate plans were abruptly pushed to the side, and longer-term plans became a complete blur (pardon the pun). But my recent health issues have also strangely been among the most positive things to happen to me. Throughout seemingly endless visits to my ophthalmologist, I encountered and empathized with many others fighting their own vision issues, from the very young to the elderly. My experience has taught me patience, perspective, and what is truly important in life. During recovery, when I couldn’t do much but keep my head down and stare straight at the floor, I would write (using my one good eye of course). I’d often scribe summaries of everything I was grateful for – from my parents, siblings, and faithful canine companion, to the air I breathe. It didn’t take long to fill at least a page and a half every time. I watched a documentary recently about mindfulness, the psychological process of bringing one’s attention to the internal and external experiences occurring in the present moment. Participants at a weekend retreat were first required to purge distractions including leaving their smart phones in their rooms. Two of the exercises stood out. In the first, attendees simply walked across a room. But they did so very slowly, and were encouraged to be mindful of every step, including awareness of the position of their body and the feel of their feet on the floor. In the second exercise, participants ate a quiet meal, chewing slowly and focusing carefully on the taste and texture of every bite. On the surface, both exercises appeared ridiculous, but I understood the lessons they were meant to teach – to concentrate on the here and now and truly savour each precious moment. I now follow a couple of Twitter feeds to provide daily reminders to slow down and value each moment. Buddha Quotes (@ByBuddha) and Daily Zen (@dailyzen). As I write, I often glance at my dog, sleeping peacefully on the couch. I envy her, for I doubt she ever worries about the future. If she could write, her daily “to do” list would most likely be limited to four core activities: eat, drink, play and sleep. Not in any particular order, and just responding to needs and wants from one “now” to the next. At the risk of oversimplifying, we really need to learn to “go with the flow.” There’s no problem in trying to maintain control – we all have responsibilities that we must try and manage. Just be cognizant of the fact that challenge lies around every corner, and we must be mentally prepared – and conditioned – to cope. This week’s #HappyAct is to focus on the present moment. Every minute you spend worrying about future events robs you of your enjoyment of the here and now. 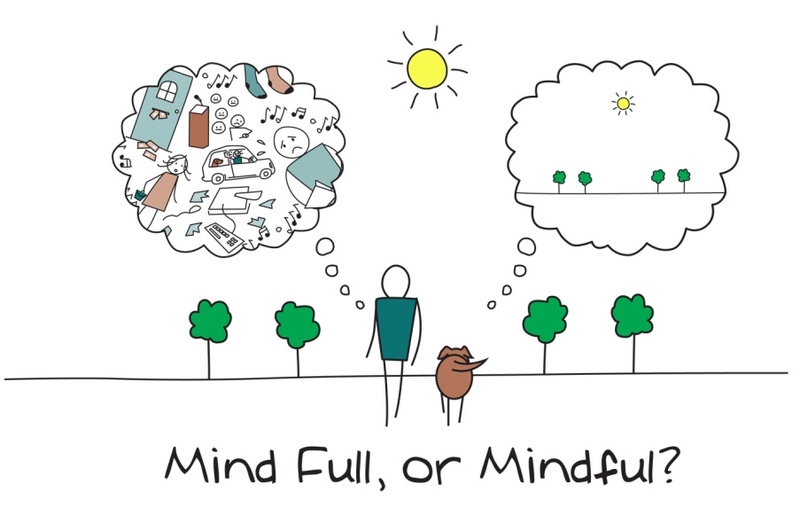 Practiced mindfulness can easily lead to deliberate happiness.